Sanjay Mathur is the Director of the Institute of Inorganic Chemistry at the University of Cologne in Germany. He is the Co-Director of the Institute of Renewable Energy Sources at the Xian Jiao Tong University, Xian, China and a World Class University Professor at the Chonbuk University in Korea. He also holds Visiting Professorships at the Central South University, China, Tokyo University of Agriculture and Technology, Japan and National Institute of Science Education and Research (NISER), India. He has been awarded the Honorary Doctorate of the Vilnius University in 2016. His research interests focus on application of nanomaterials and advanced ceramics for energy technologies. He is an Academician of the World Academy of Ceramics. A Fellow of the American Ceramics Society and ASM International, Mathur also acts as an “International Ambassador” of the University of Cologne. He was an ASM International-Indian Institute of Materials (ASM-IIM) visiting lecturer in 2009. He was given the Global Star Award of the ECD of American Ceramic Society in 2010. He had organized and chaired over 50 international and national conferences and symposia. He was awarded the Bridge-Building Award of the American Ceramic Society in 2014 and the Lee Hsun Award of the Chinese Academy of Science and Institute of Metal Research, China (2014). He is also the recipient of the 2015 Surface Innovator Award given by AkzoNobel and the Society of Surface Protection and Paints. He was inducted as the honorary member of Materials Research Society, India in 2017. He was elected to the Board of Directors of the American Ceramic Society for the term 2017-2020. He was the Presidential Lecture Awardee, Council of Scientific and Industrial Research, South Africa in 2016. He was elevated to the Fellow of ASM International, USA in 2017. He is the current Chair, Academic Affairs and Young Professional Committee of MRS, US. He was elected as Board Member of World Academy of Ceramic, Italy in 2018. He serves as the Editor for Journal of Electroceramics, Associate Editor for NanoEnergy and as the Principal Editor of J. Mater. Research. 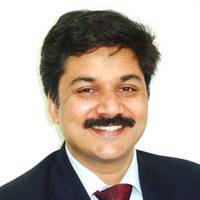 He is also an Associate Editor for International Journal of Applied Ceramics Technology, International Journal of Nanoscience and Nanomaterials. He is also on the Editorial Boards of journals International Journal of Nanotechnology, Materials, Journal of Ceramic Science and Technology, and NanoEnergy. He is a member of the ISO Technical Committee on Nanotechnologies. He has served as the Chair of the Engineering Ceramics Division of ACerS. He also chairs the Jeppson Award Committee of ACerS. He is a member of the Advisory Board of the Federation of German Materials Science (DGM) and also serves on the Advisory Committees of a number of international academies and research institutions. He is also on the Board of the German Chemical Industries Network CHEMCOLOGNE. He is appointed on the Review Advisory Panel of the CSIR, South Africa and also serves as International Advisor to Korean Institute of Industrial Technology (KITECH), Incheon, Korea and Vice-President of the Thin Film Society, Singapore. He has also served on the Kavli Awards Sub-Committee of MRS. In addition, he actively supports the transfer of German technologies to emerging markets in Asia through a Steinbeis Technology Transfer Company (Materials Alliance Cologne) that he founded in Cologne to promote Indo-German and Indo-European ties in economic sector as well as in the field of science and technology. Research Group Mathur has made outstanding contributions to both the understanding of chemical processing of functional inorganic ceramics as well as in demonstrating their potential for a variety of applications. The current research focuses on innovative material technologies that are vital to meet the needs of future challenges in the fields of health and energy. require to achieve economically viable solutions. Dr. Mathur has co-edited two well-read books that manifest the innovative chemistry and materials integration namely “Ceramic Integration and Joining Technologies: From Macro to Nanoscale” John Wiley & Sons, 2011 and Metal Oxide Nanomaterials for Chemical Sensors; Eds., Carpenter, M. A.; Mathur, S.; Kolmakov, A., Springer New York, 2013. Dr. Mathur’s research work has led to new insights in structure/property relationships in several classes of nanomaterials, ranging from semiconductor nanostructures to two-dimensional nanolaminates to biocompatible materials. His group developed novel strategies to control the growth of low-dimensional inorganic materials, and has significantly elucidated intermixing, nanostructure formation and crystallization phenomena in metal oxides useful for better materials understanding. His work has had a significant impact in the field of nanochemistry, identifying new directions of atom-economic conversion of precursors to materials. Mathur has published over 475 articles and has contributed 13 book chapters and reviews, which have been cited over 10,000 times. He has been invited to speak at over 200 international conferences and has given over 150 seminars in 35 countries. In addition, he has edited 11 books in the field of nanomaterials science and engineering. With a current h index of 52, he is recognized as one of the highly cited authors. The materials and technologies developed by his group are employed in various industrial products/components (sensors, electrodes, filters, catalytic supports, etc.) through industrial collaborations that are described in 10 patents. Alexander von Humboldt Fellow at the Institute of Inorganic Chemistry, Saarland University, Saarbruecken. Akzo Nobel Surface Innovator Award, Jointly awarded by AkzoNobel and SSPC, India. Titular Member of the Inorganic Chemistry Division of the International Union of Pure and Applied Chemistry (IUPAC). Chair, Engineering Ceramics Division Awards Committee, Am. Ceram. Soc. 11 April Congratulations Rajitha Ravitas! 12 März More than 10 000 citations!